Food traceability is in the news-in articles ranging from food safety and bioterrorism to the consumer’s right to know. Recent news stories have focused on tracking cattle from birth to finished product to control the risk of mad cow disease, on tracking food shipments to reduce the risk of tampering, and on traceability systems to inform consumers about food attributes like country of origin, animal welfare, and genetic composition. 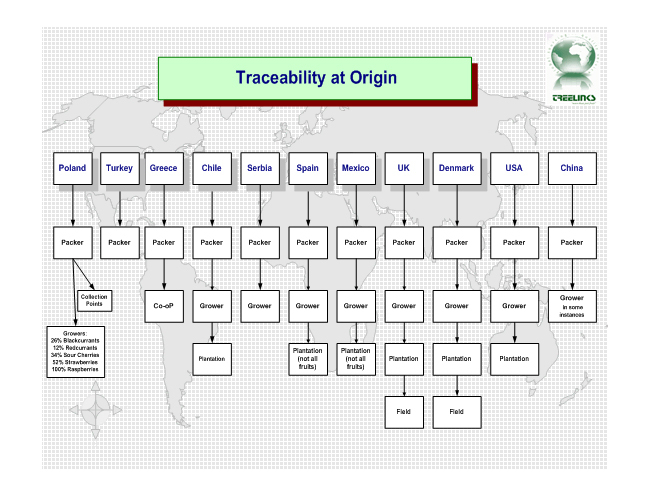 Legislation recently introduced states that the minimum requirements for traceability are one step back and one step forward in the supply chain, this ensures some level of traceability in all operations. Treelinks have developed systems to ensure that all our products are traceable as a minimum back to the supplier but in many cases we are able to trace our products back to the plantation and in some the more advanced origins we can even trace the goods to the individual grower. 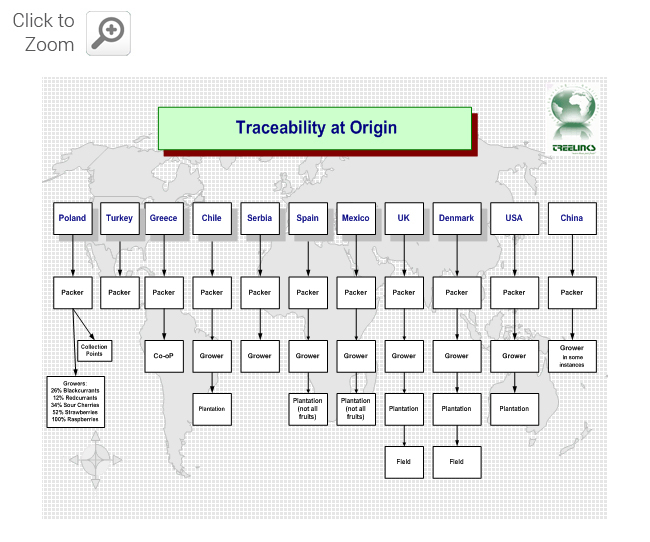 Our systems operate on a unique batch number basis and they are linked directly to our suppliers information giving us the level of traceability today’s markets demand.